Ever gone for a ride with a bunch of friends with that niggling feeling it’s going to turn to tears for at least one of them? 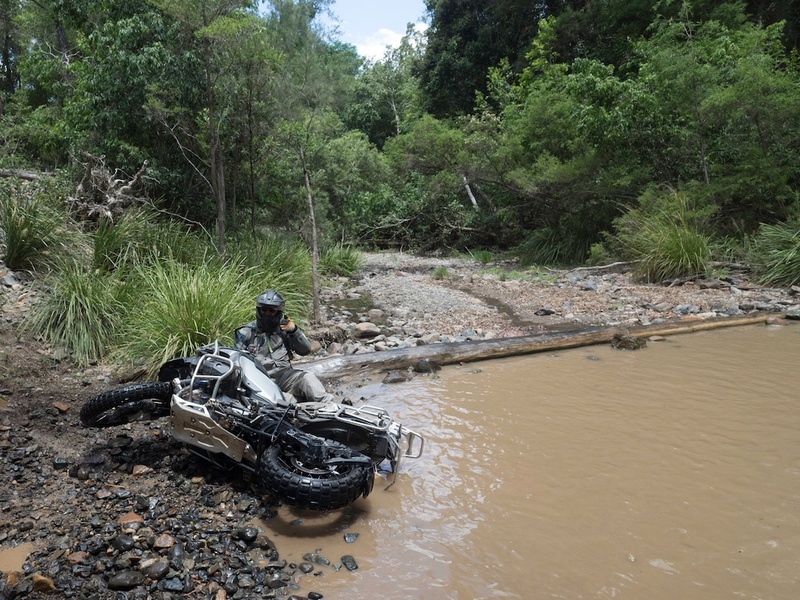 I reckon that’s how it must feel for the people tasked with planning the BMW GS Safaris, the group rides of around 200 people taking on the challenge of touring dirt roads for a week. I’ve been to a handful of BMW Safaris over the years, including the first one to Fraser Island, a TS (road) Safari in Tasmania and the most recent iteration, the GS Safari from the Gold Coast to the Sunshine Coast via the incredible dirt roads across the Great Dividing Range around the NSW-Queensland border and Hinterland. And it did end in tears for a handful of participants, but none I spoke actually regretted signing up. After all, how often do you get to go adventure bike riding knowing there’s a couple of highly qualified doctors following you, also on bikes? Oh, and there’s a support crew too, so if problems arise bikes you could be transported to the next destination and a factory-trained mechanic there to do everything he could to get you back on the journey. These are some of the reasons the BMW Safari has become so popular over the years, especially the GS Safari, which is primarily run on dirt roads, fire trails and the occasional (and optional) bit of single track. I’m astounded by the skills of some people, throwing their 200-kilo plus 1200 GSs around trails I’d be nervous riding a WR450 along. But then there were also plenty of newbies who would have slow speed crashes in relatively innocuous places, because they were too cautious, too tame on the throttle and didn’t feel confident in the techniques of riding on loose surfaces – like standing up and keeping the power on. But this is also one of the advantages of travelling in an organised event – in difficult spots there was usually someone to help, from providing tips on how to get across a creek to actually riding other people’s bikes up tricky hills, from helping fix a puncture to providing medical aid. I was on the Safari because the event itself makes a great story for Cycle Torque, but also to test the new F 800 GS Adventure. That test will be coming soon, but I can say here it’s a great adventure bike. An update from the first model which I also liked, the new 800 Adventure has better riding modes, and I absolutely loved Enduro Pro mode. With the ABS to the back wheel switched off and the traction control only kicking in if things got crazy, the 800 GSA feels like a big dirt bike. I was able to throw it around in ways which surprised me immensely. I could only join the Safari for the final three days, so I threw my leg over the new 800 on the Wednesday, and spent most of the time trying to remember how to ride an adventure bike again – it had been a while. The Thursday was stinking hot, the on-board thermometer telling me the air temperature was 40.5 degrees at one point, but I didn’t care by then: nothing mattered but the next stretch of dirt, the next set of corners, the next spectacular view, the next conversation with a stranger enjoying all the experiences I was. So I missed the start at the plush surrounds of Jupiter’s Casino for the welcome dinner, and the ride to Tenterfield, joining the crew at the end of their second day in Toowoomba. The conditions, especially the heat, made this year’s event pretty tough, but I heard no complaints about the conditions, heat or sand… Kingaroy wasn’t everyone’s favourite place (especially after the lovely Toowoomba) and I saw a few heads shaking at their rate of tyre wear, but it was an adventure they signed up for and it was an adventure they were getting. “This year’s GS Safari was a great event. It provided challenging terrain and conditions at times and really pushed some of the riders to their limit. The route surprised many with its variety and the heat made the first beer each night taste even better. 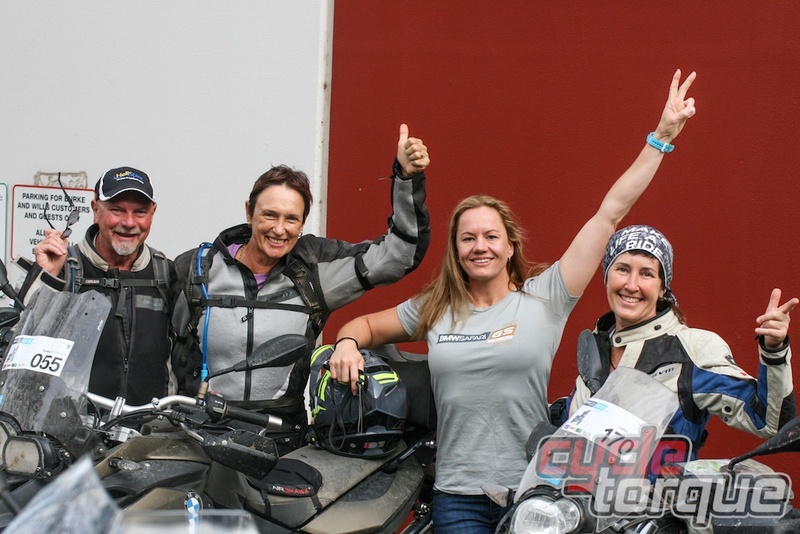 As usual, the first timers were really excited to have completed their first event and many new friendships were made.” said Miles Davis, BMW Motorrad Australia Marketing Manager and former Cycle Torque journalist. Many of the participants I spoke to believed the best day was right in the middle of the week, Wednesday, Toowoomba-Kingaroy. With a little winding bitumen getting out of town, incredible scenery and good dirt, there was a lot to like about Wednesday, but Thursday was my pick. By then I had the F 800 GS Adventure locked into Enduro Pro mode (I’d been experimenting with the other modes the day before) and was really getting the feel for the 800 again. I was feeling more comfortable on the bike and had some great periods chasing Miles, and Ollie from Australasian Dirt Bike – I go OK on adventure bikes, but chasing experts is fun, challenging and gets the adrenalin pumping. We go on these events for the riding, but the camaraderie at the end of each day is wonderful, too. There were always animated talks about the near misses and close calls, quieter explanations about the crashes, punctures and problems but most of all a sense of belonging to the group and looking forward to the next day or, at the farewell dinner on the last night, the next ride. Each night there would be a meeting to discuss the day, have a few drinks and hand out maps for the following day’s ride. There was also a bucket of money destined for the Royal Flying Doctor Service, which people often donated to if they managed to retrieve a piece of lost property, were particularly grateful for some assistance or because they lost a bet, and is something of a tradition at the Safari. But the biggest contribution came from the person who wanted the #001 identification sticker, which usually goes to the first person to register for the event – but this year that person had to cancel, so someone had the idea to auction off the #001 plate, where it raised $3000. That money and the bucket ended up at $5700 for the RFDS. I met some great people at the year’s BMW GS Safari. Some were on their first ride, some having basically never ridden in the dirt before (ahh, here’s a recommendation… don’t start out as an adventure rider with a 1200cc machine… there are great mid-range bikes which will build your confidence quicker…) and of course the hard-core who I only saw in the evenings, because I didn’t see which way they went each morning, they were that fast. It’s a credit to BMW that they put in the time and effort to run these events – they are a huge drain on personnel and resources, but it must be worth it to see the looks on the faces of the riders at the end of each day, for this is why they ride.